IMO Results 2018-19 has been declared by the Science Olympiad Foundation (SOF) for the 12th IMO Olympiad exam conducted on 4, 13 and 18 December 2018. All the candidates who appeared in the exam can now check the result by following the link available on this page. International Mathematics Olympiad (IMO) is organized by SOF or Science Olympiad Foundation, which is a Non-Profit organization. This page gives the details regarding the IMO Results 2018-19 only. 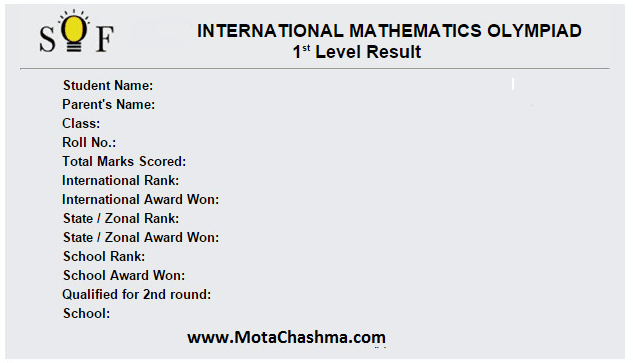 Participants of IMO will be ranked based on marks obtained by them in the exam. 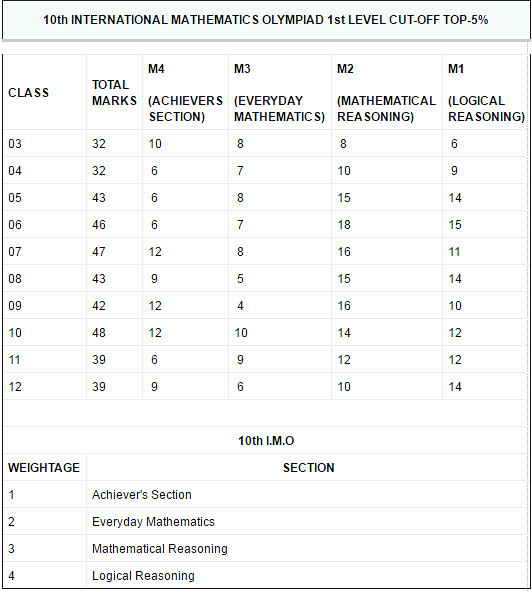 Along with the answer keys, the candidates will also be able to check the IMO Cut Off scores for which the link is given on this page. IMO Cut Offs 2018-19 has been released, Scroll down to get the cut-offs. IMO Results 2018-189 has been declared by the Science Olympiad Foundation (SOF) for the 12th IMO Olympiad exam conducted on 4, 13 and 18 December 2018. All the candidates who appeared in the exam can now check the result by following the link given below. The result comprises the total score secured by the students. The candidates who qualify the Level 1 exam will then appear in the Level 2 exam which was conducted in February 2019. At last, the candidates then have to enter their roll number and click on "View Results"
The candidates who have participated in IMO Exam by SOF can also register for Allen Champ. The students are advised to read the eligibility guidelines before registration. You don't have to pay a fee or give an exam for this. Just have to register for Allen Champ and get rewarded on the basis of your past achievements. To Check the IMO Result 2017-18, the candidate has to Enter the Roll No.inthebelow-given format – Their School Code, Class Number, Roll No. The Student can download the IMO Result 2017-18 online and no separate result would be sent by post. The Downloaded IMO Result 2017-18 is valid for future references. Every student who appears in any SOF-Olympiad exam is provided with a Student Performance Report (SPR). An SPR is a detailed analysis of how the student attempted the 1st level Olympiad exam. This is expected to enable the student to understand her/his strengths and areas requiring improvement in absolute terms and also on a competitive scale consisting of lacs of students of her/his class who appeared for the Olympiad. After the result gets declared, the candidates need to prepare for the level 2 exam of IMO. The candidates are required to click on the link below to know the IMO level 2 exam pattern, syllabus. IMO Results 2018 - Who will qualify for IMO 2nd Level? 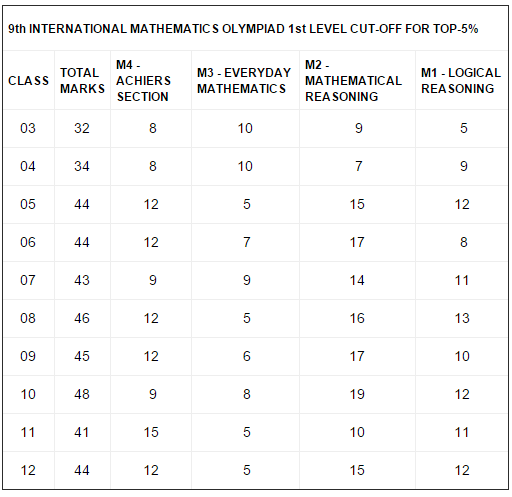 Top 5% of students, class-wise, who appeared for the 1st level Olympiad. Top 10 rank Holders, State wise & Class wise. Class topper, where 10 or more students from a class appeared for the IMO and scored 50% or more marks. SOF has released the IMO Answer Keys for all the sets of Maths Olympiad. The students can calculate their marks based on the answer key. 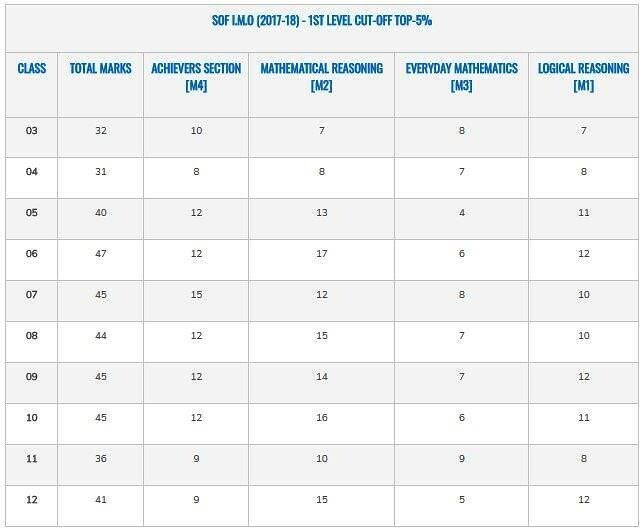 If the total marks calculated by you is greater than or equal to the cut off marks released by SOF then there are high chances that you are eligible for Level 2. The final selection status would be known after the declaration of the IMO Results. You can register for an update with us and we will send you the SMS as soon as the result is declared. The Maths Olympiad IMO (International Mathematics Olympiad) is conducted by SOF and is a means to identify and encourage the mathematical creativity of children in schools across India and abroad. Students who qualify IMO Level 1 participated in Level 2.